Red, white, and blue! 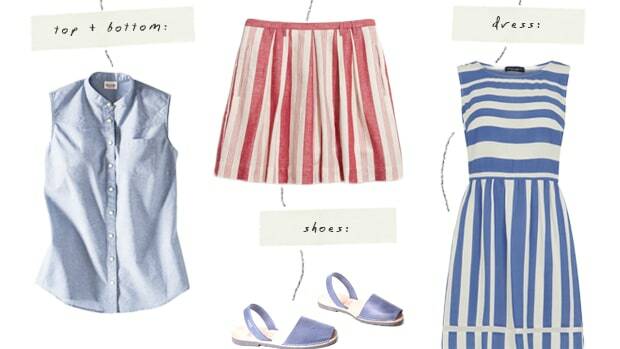 Super-cute and classy outfits for your patriotic day. 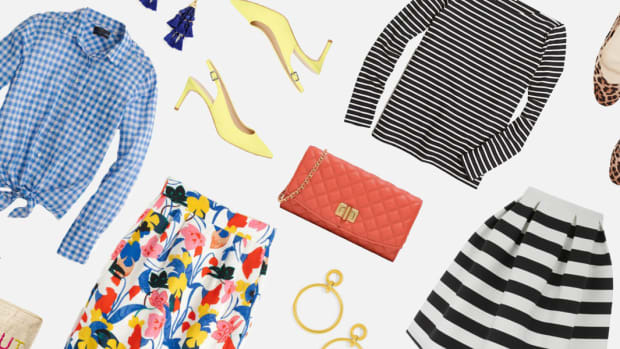 BBQs, baseball games, beach picnics—however you spend Independence Day, it would be a shame not to have a little fun with a red, white, and blue getup. 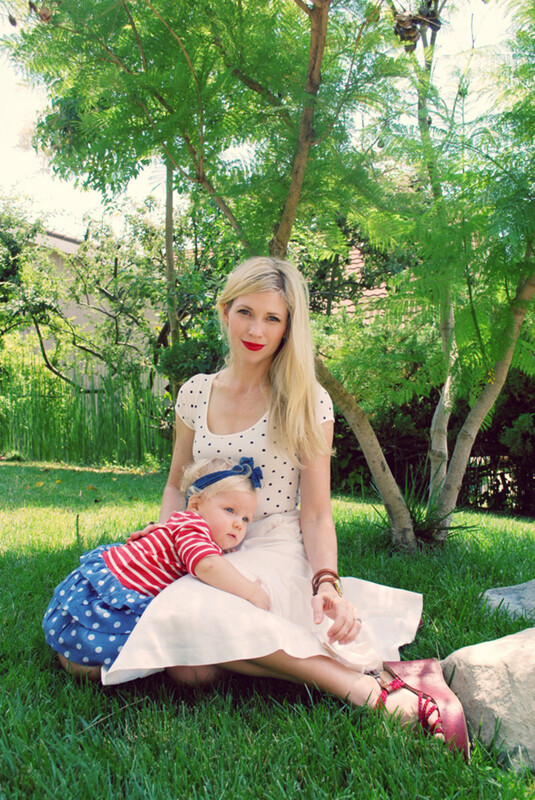 You don’t have to don a ’Merica muscle tank—though that’d be perfect for my family’s Fourth of July festivities—but dig around in your closet, and pull out those classy skirts, polka-dot dresses, striped shirts, and red pumps. Plus, how could I forget? This is the day to sport your adventurous retro red lipstick. 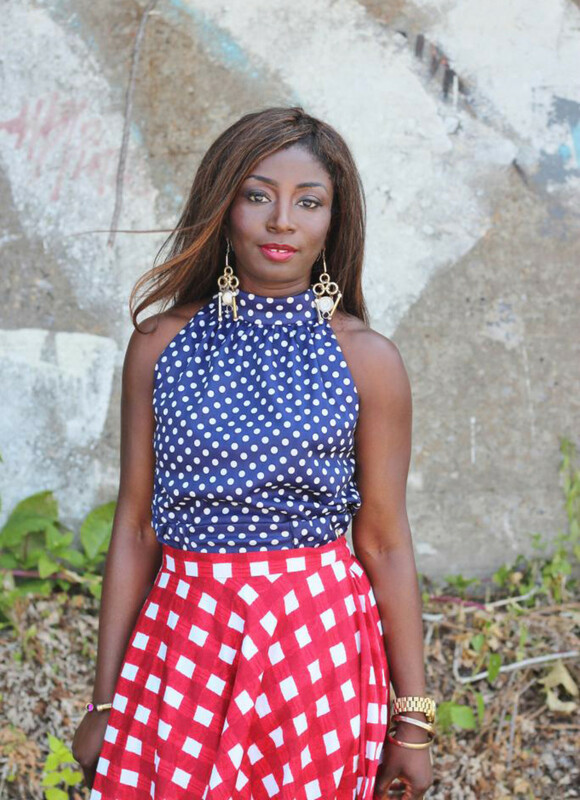 We’re totally taken with these fabulously dressed women who interpreted the patriotic spirit of the day and have been inspired to work with pieces we’ve already got in our closets. Even a simple, classic white button-up with a pair of blue jeans and fun red shoes suits the day! Which look inspires you? 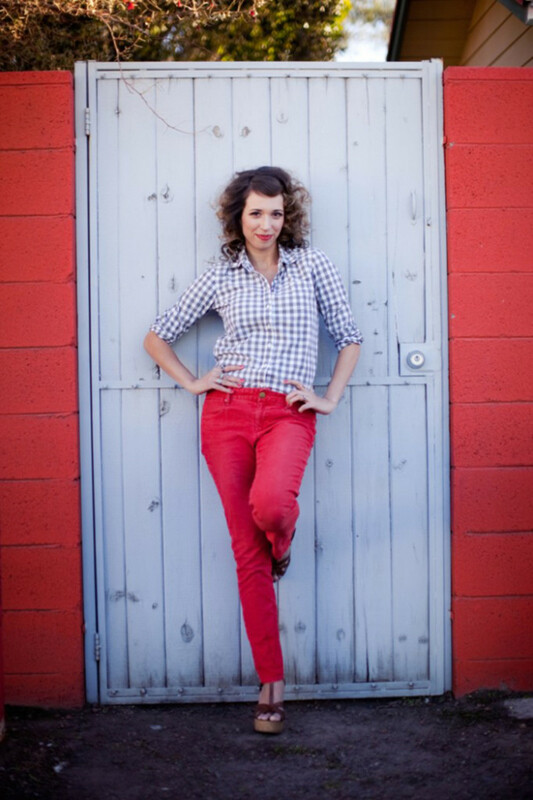 Alex Evjen, stylist, blogger, and Pinterest extraordinaire of AVE Styles, keeps her look super-sweet and simple with a festive gingham button-up and bright red statement jeans. Neutral wedges and a soft red lip finish her outfit perfectly. We’ve got a major style crush on blogger and author Jessica Quirk of What I Wore, and she pulls off super-feminine silhouettes like no one else (and even makes many of her clothes!). 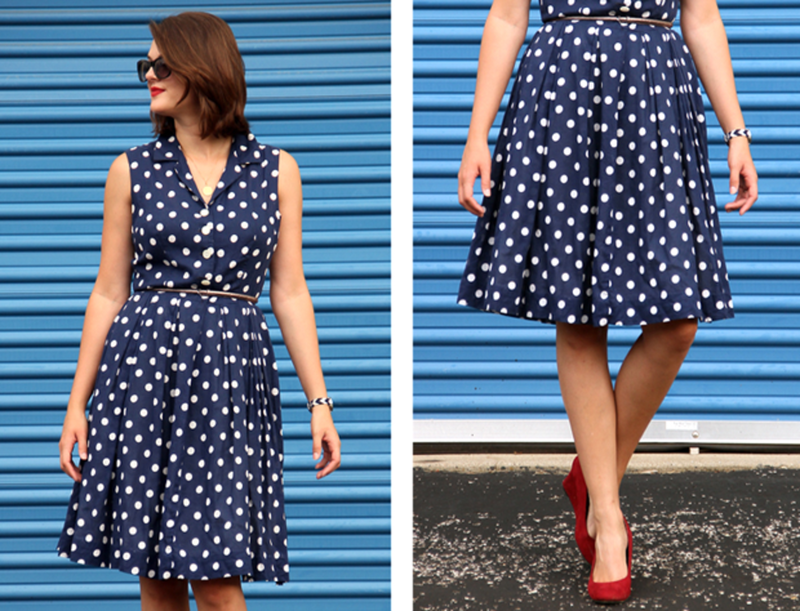 With its polka dots and A-line frame, her navy blue shirtwaist dress is darling with a skinny belt that cinches the waist. Bold red wedges and a red lip are the prettiest finishing touches. 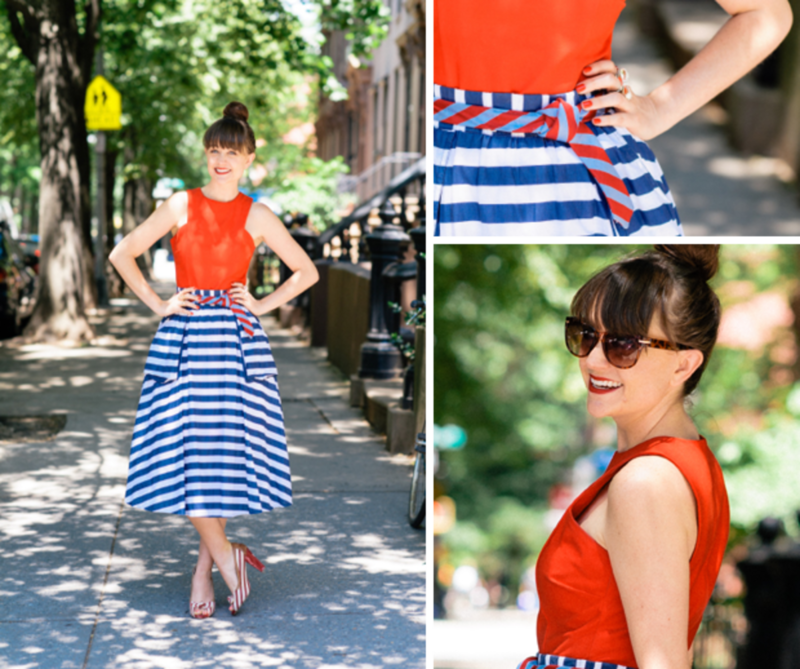 Hilary Rushford, stylist, author, and entrepreneur mentor of Dean Street Society pulls off the red, white, and blue style challenge with flair in this full, layered, and striped midi skirt. With a statement piece like this, she keeps the rest of the look simple with a modern red sleeveless top and oversize sunglasses. Prisla of FashBerries has mastered ladylike patriotism! 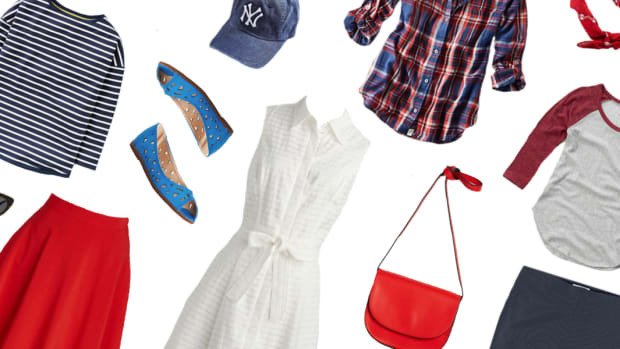 The NYC-based wardrobe stylist would surely be the belle of every Fourth of July BBQ in this feminine red, white, and blue ensemble. 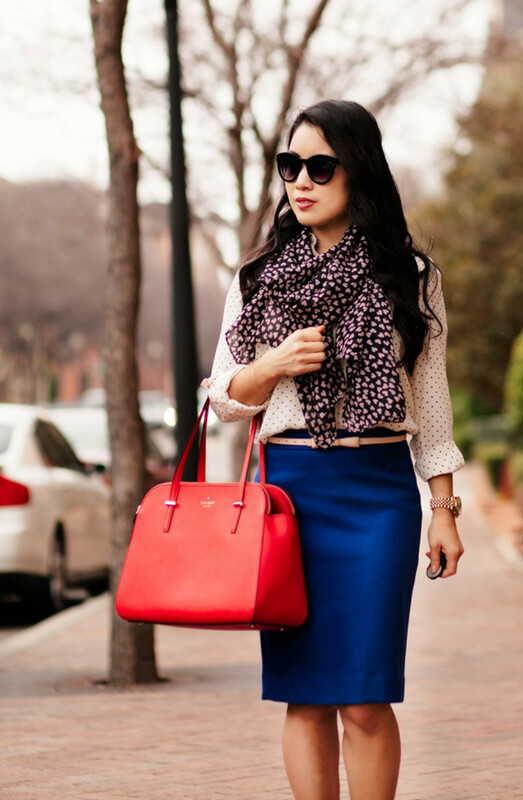 A silky blue polka-dot blouse with a flowing red checkered midi skirt? This is how mixing prints is done, ladies and gentlemen. We love the gorgeous and down-to-earth duo Summer Bellessa and Brooke White of The Girls With Glasses, and they’ve got a handful of killer Fourth of July looks you can definitely find in your closet. Brooke’s chic white-on-white outfit featuring a midi skirt and polka-dot tee set off by summery red wedges complements her sweet baby London’s festive ensemble. 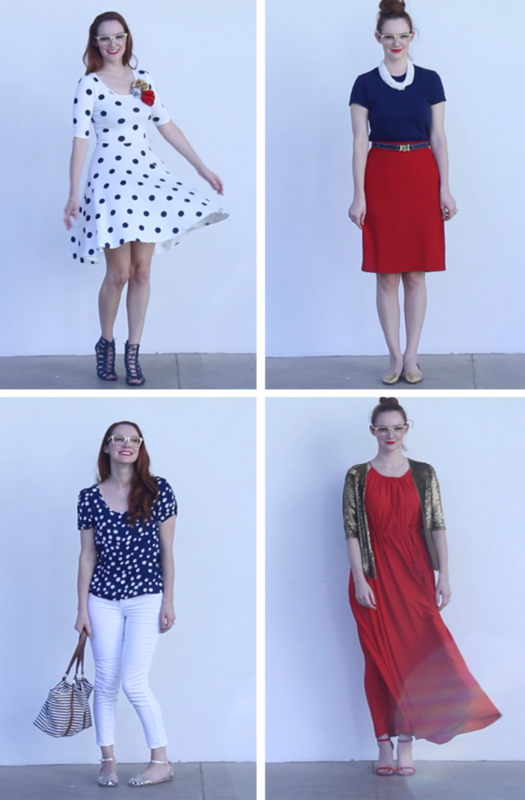 And, Summer has four versatile patriotic outfits (check out the fun video!) 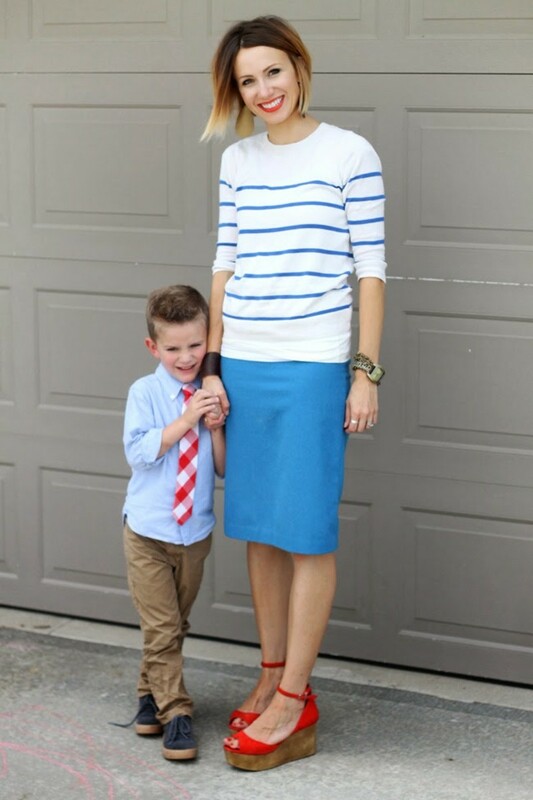 that spotlight solid staples such as a classic red pencil skirt, a navy blue tee, and a white statement necklace. White denim, a blue polka-dot blouse, and simple silver flats are also a win! Lauryn, the Utah-based fashion, lifestyle, and beauty blogger of darling Lauryncakes (where there’s more amazing style inspiration) represents Americana in a trendy, boho way—a fresh take we are loving. A great pair of white denim, a flattering tunic blouse, and sassy urban heels make a statement we’d wear all summer long. Who knew our country’s colors could look so sleek? 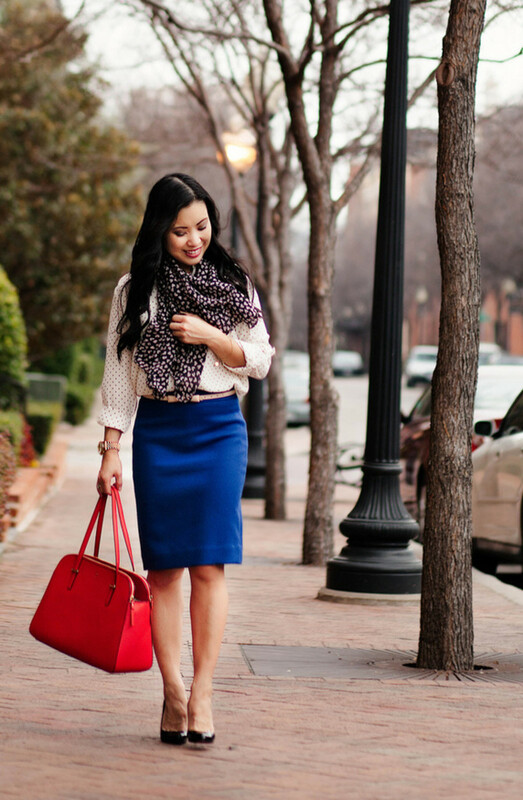 Dallas-based style blogger Kileen of cute & little proves that bold red, white, and blue can be office-appropriate with this classic blue pencil skirt, white polka-dot blouse, and a poppy red Kate Spade bag. 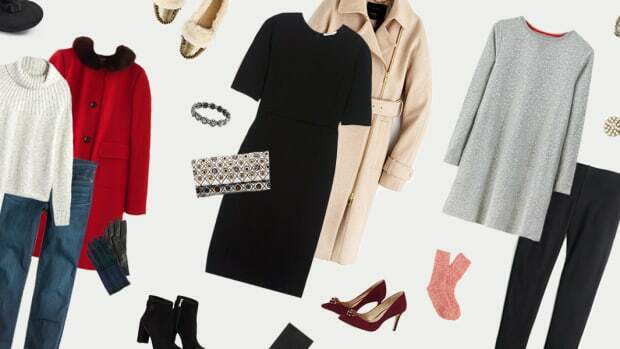 Simple jewelry, a fun scarf, and black pumps take this outfit from the boardroom to happy hour drinks. 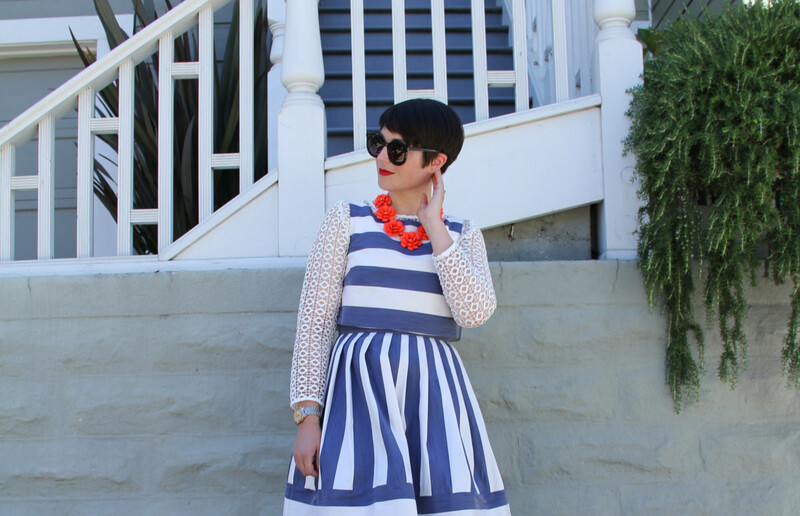 We’re swooning over Tamryn of Wannabe Fashion Blogger’s feminine and eclectic striped patriotic outfit—how cute to layer an eyelet blouse under bold vertical and horizontal stripes. She continues the striped theme down to her toes with graphic striped pumps. 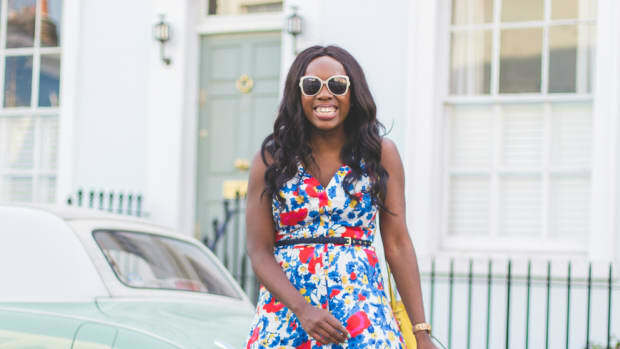 Retro sunglasses, red lips, and a neon red floral statement necklace are icing on the cake. 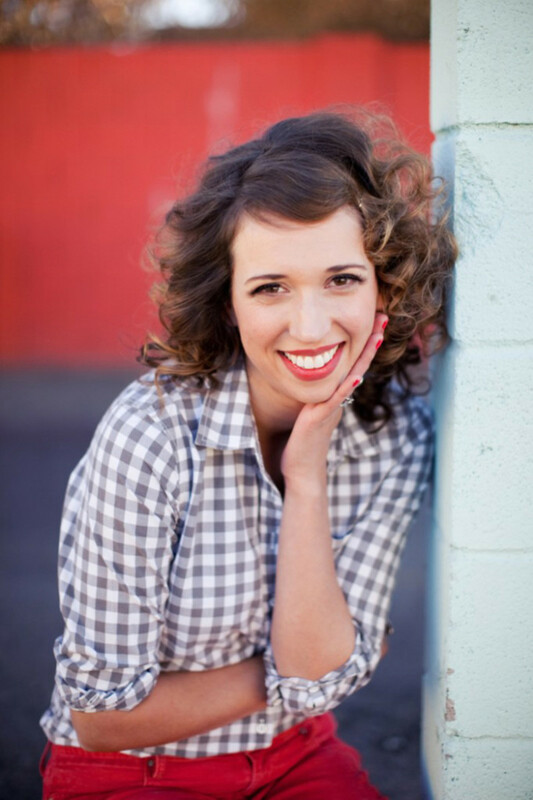 Mother of three and businesswoman extraordinaire Kilee of One Little Mama is beyond impressive. We love her laid-back holiday outfit—her vibrant pencil skirt and striped white T-shirt are classic staples for any wardrobe. 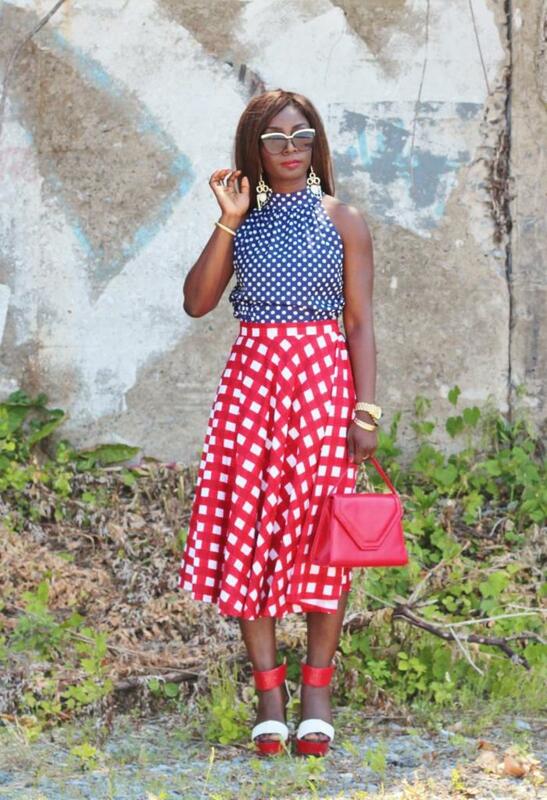 The bold blues in her Independence Day outfit are set off by her equally bold red platform heels and crimson lip. 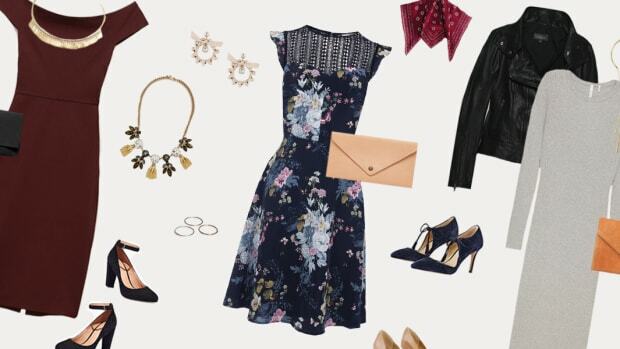 Give the fireworks show some competition in an outfit like this!